I am Thomas W.P. Slatin, an American Writer, Photographer, and Website Designer. I am available for hire on a temporary, part-time, or freelance basis in the areas of writing or photography. My rates are upfront and simple; $100* USD per hour plus any additional travel expenses, if applicable. * Please note that there will be additional hourly fees for hazardous and/or unsafe locations. Please email me with any questions or offers: tom@tomslatin.com. I nominated you for award. I usually don’t do them and don’t know if you do–actually I think I nominated you before. Anyway, no big deal, just wanted to let you know. Well thank you. So very kind of you to do so! 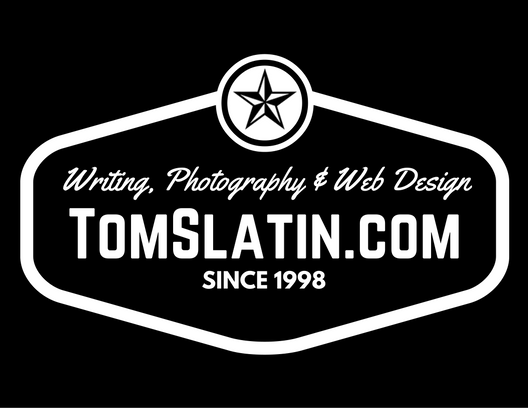 Tom…love the new site layout. Absolute homerun-large images, easy navigation. Great job as it is so much easier to find my way around. As an EMT/Firefighter you will no doubt have an abundance of stories to tell. Thanks for stopping by my blog, and I’m glad you enjoyed my post. Hope you’ll stop by often, doors always open at Jean’s Writing. I do have an enormous number of stories to tell, however, due to the nature of the job, most stories must be kept confidential. I may now and again make an obscure reference to something that happened years ago in casual conversation, no specifics, but I am very cautious never to publish any such accounts. Fascinating blog. Will be a frequent visitor! Are you asking how I got started, or how the genre or medium itself got started? I would like to publish your “80 Journal Writing Prompts” piece on my tumblr. I would actually just share the link to the original post on your webpage, which will hopefully give you more traffic as well. Feel free to check my tumblr. Great! As long as you link back, go for it!